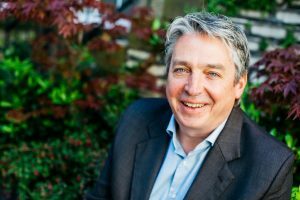 Michael Gibson, chair of Digital Lancashire and managing director of Miralis, has joined Hotfoot Design as a non-executive director. Gibson is the former co-owner and managing director of Fat Media, where he oversaw the growth of the company from a small office in Lancaster to one of the largest digital marketing agencies in the UK. He left Fat Media three years ago after the agency was acquired and this is his first agency role since then. He will work closely with Hotfoot's three partners - founder and creative director Charlie Haywood, technical director Aidan Watt and marketing director Guy Cookson. He will be advising Hotfoot on their plans for strategic growth. The Lancaster agency, founded in 2006, recently announced two senior hires and has also picked up new client wins including Beetham Nurseries, Jewels of the Ummah, Atkinson Vos and Lancaster Brewery. Gibson said: “I've known Charlie, Aidan and Guy for many years. Hotfoot is a brilliant creative agency with a great reputation for design and digital marketing. After some time away from the agency world it's an opportunity I will relish." Charlie Haywood, founder and creative director at Hotfoot Design, added: “Mike is someone we've always had great respect for, and whose advice we value after all he has accomplished. It's a real coup to have Mike on board, and we're really looking forward working together." Gibson is also currently chair of Digital Lancashire and a board member of Creative Lancashire. Since leaving Fat Media he launched Miralis - a business consultancy specialising in big data, artificial intelligence and machine learning – and is a director of UK Bathroom Store.